With the help of our Computer-Aided Drafting (CAD) capabilities, we are able to take the customer's initial ideas and turn them into a beautiful, functional plan. Utilizing our expertise of over 25 years in the remodeling and home building industry, we can advise and guide you in developing your vision into a well-designed project. Our design build services are available for your remodeling or building project from conception to completion. 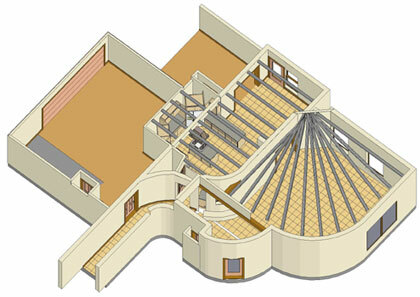 While some customers may choose to work with their own architect, our in-house design service is invaluable. It allows for greater collaboration throughout the building process and a more intimate understanding of your project goals. 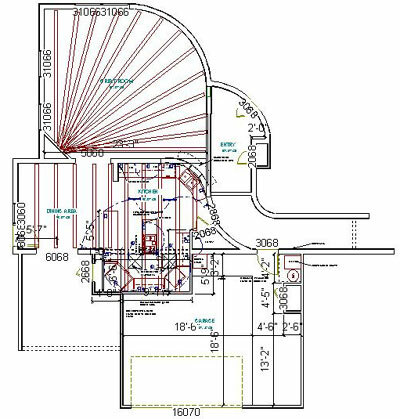 Our CAD and estimating capabilities enable McGinley Construction to produce detailed plans with clear and accurate specifications. We realize that a home remodel can disrupt your household. Our commitment is to ease the disruption through planning and preparation. This allows us to work with you efficiently, minimizing chaos during the construction process. We start by sitting down with you the customer to look at your individual remodeling needs. Every remodel project is custom designed especially for you. 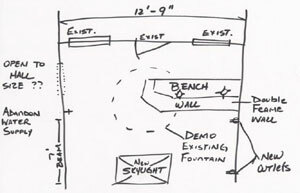 Typically the homeowner has been putting ideas down on paper, so we start with these initial sketches. We put together a plan of the areas we want to change & add those sketches to put together a preliminary plan. We then fine tune that plan and produce a 3 dimensional view of the plan, in order to help you fine tune your dreams. This design-build process helps us to convert your dreams from sketches, drawings, and computer graphics, into a completed space you are sure to love.